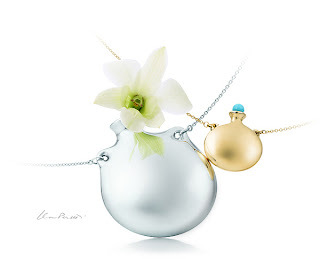 I am in love with the new Elsa Peretti’s Bottle pendants for Tiffany & Co. New for Summer, they have introduced handcrafted shapes, with precious metals and gemstones. These distinctive pendants capture the warm-weather season with a fresh, natural style. In addition to the classic open Bottle pendant, new Bottle pendants include round designs in sterling silver or 18 karat gold, and square and jug shapes in sterling silver. Other Bottle shapes reflect Elsa Peretti’s love of gemstones with new hand-carved stoppers in turquoise, lapis lazuli or black jade. All accent summer’s fashion trend of sheer, 1970s style dressing. The pendants were inspired by her visits to Portofino, Italy, in the 1960s and the beautiful women she saw there, each with a gardenia in their hand. Elsa Peretti wished to create a bottle that would keep the flower alive and sketched a design based on bottles from antiquity. Although when I look at them, all I can think about is that I bet Angelina Jolie would have loved one of these to hold Billy Bob Thornton's blood. Or if I were a spy and needed to hide poison to drug bad guys, this would be awesome. But, that's just me. 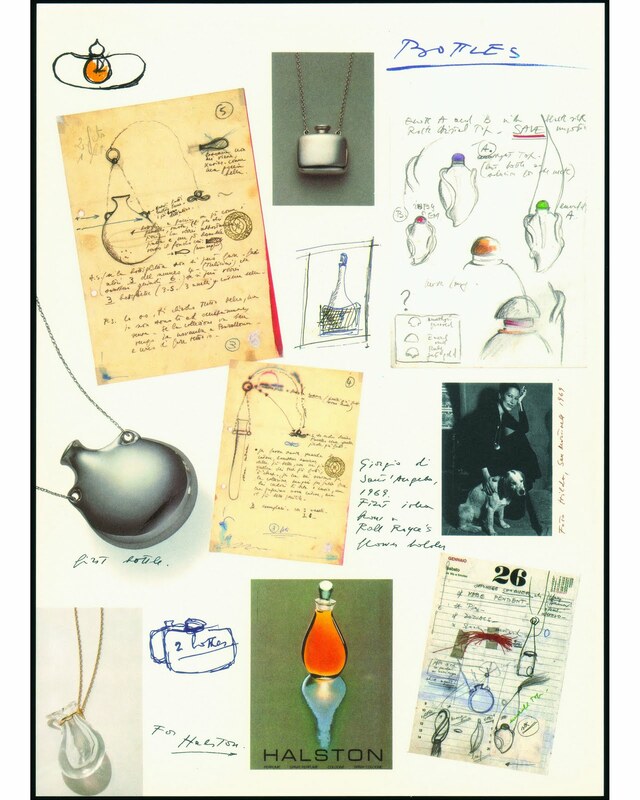 Elsa Peretti’s Bottle pendants are priced from $275 to $3,850 and are available at Tiffany & Co. stores worldwide.